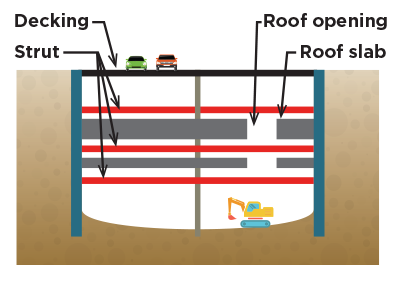 Cut and cover construction is one of the methods that will be used to build the new Metro Tunnel stations. 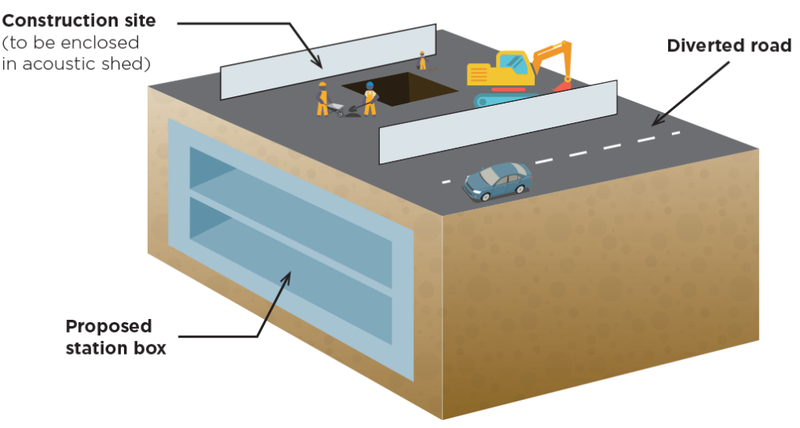 As the name suggests, cut and cover construction involves using excavation equipment to dig a large trench or rectangular hole in the ground which is then covered by a concrete deck. Once the deck is in place, surface activity can largely resume as construction works continue below. During construction of the stations, poured concrete or pre-cast panels are used to form the various levels and internal structures, similar to the construction of the underground basements of high rise buildings. 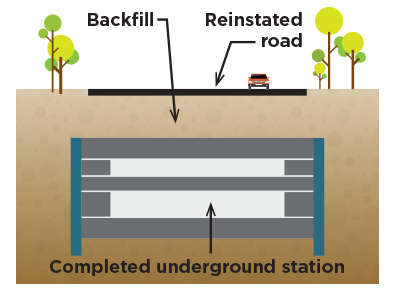 The underground retaining wall, which is usually a concrete diaphragm wall, is installed before excavation commences. 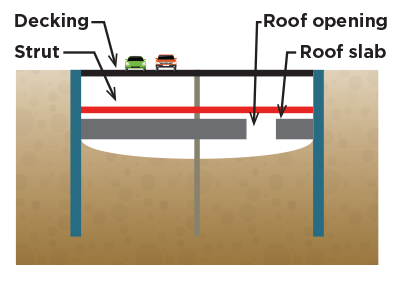 The soil is excavated to just below the roof slab level of the underground structure. Struts are installed to support the retaining walls, which in turn support the soil at the sides. The roof slab is constructed and decking installed at ground level. 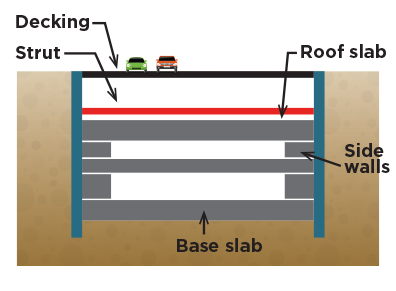 The roof slab not only provides a massive support across excavation, it also acts as a noise barrier. 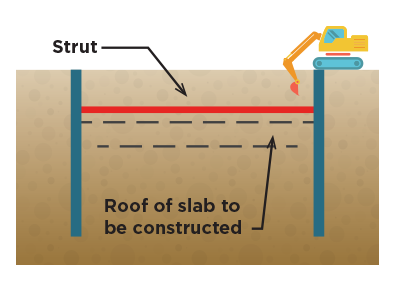 The next level of slab is constructed, and the process progresses downwards until the base slab is completed. The side walls are constructed upwards, followed by removal of the intermediate struts. The access openings on the roof slab are then sealed. 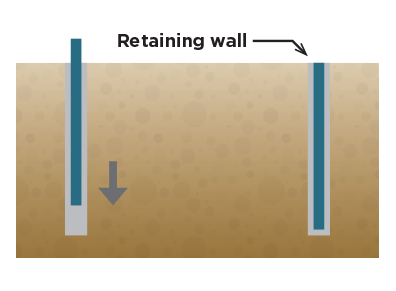 The soil is then backfilled to the top strut level before the strut is removed. This is followed by backfilling the top of the underground structure and reinstating the surface area.